Rare opportunity in Arroyo Crossing, the premier gated neighborhood in Hidden Hills. Adjacent elevated custom lots with twinkling city lights and breathtaking mountain views, including iconic Camelback Mountain and the McDowell Mountains. Spectacular Arizona sunsets, majestic saguaros and lush desert vegetation included! This .64 acre homesite is the ideal setting for your custom dream home. Also available: adjacent 1.24 acre Lot 11 (14523 E. Lupine) - MLS# 5863566. 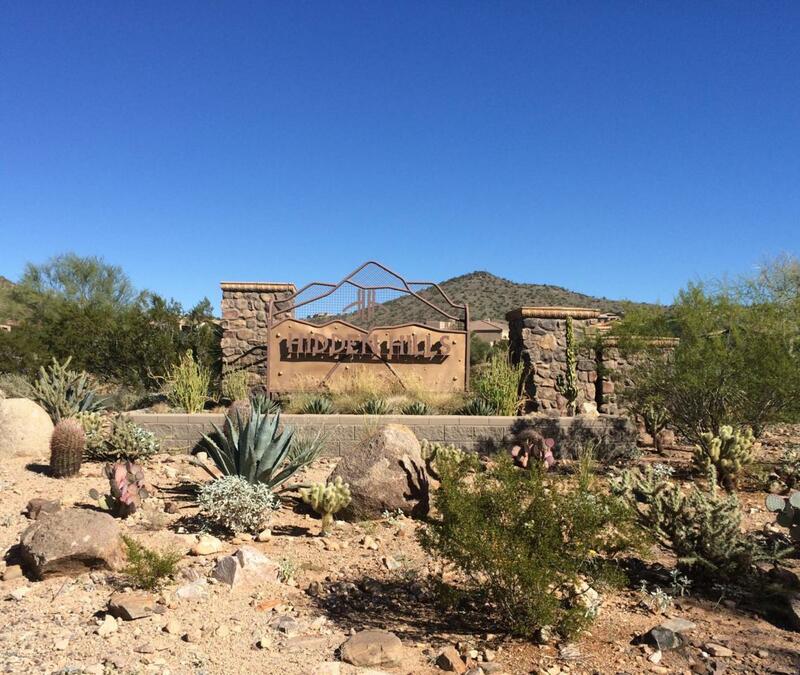 Conveniently located in North Scottsdale near Mayo Clinic, exceptional schools (including Basis & the DMHS IB Program), shopping, restaurants, golf, tennis, hiking and more - walk to the McDowell Sonoran Preserve trailheads including Sunrise Trail and Lost Dog Wash Trail. Don't miss this fantastic opportunity! Owner/Agent.